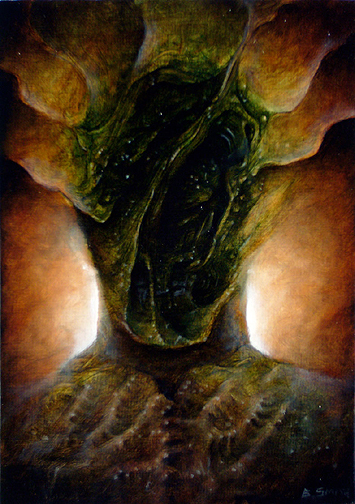 of the human form meld through altered states with alien landscapes. 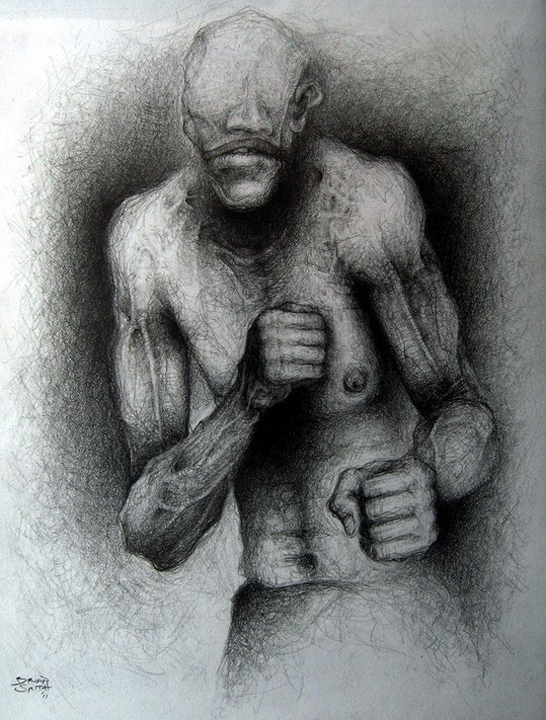 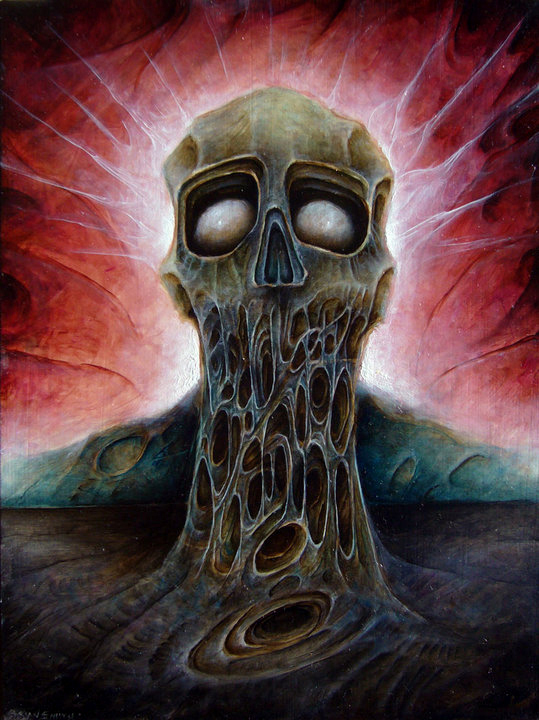 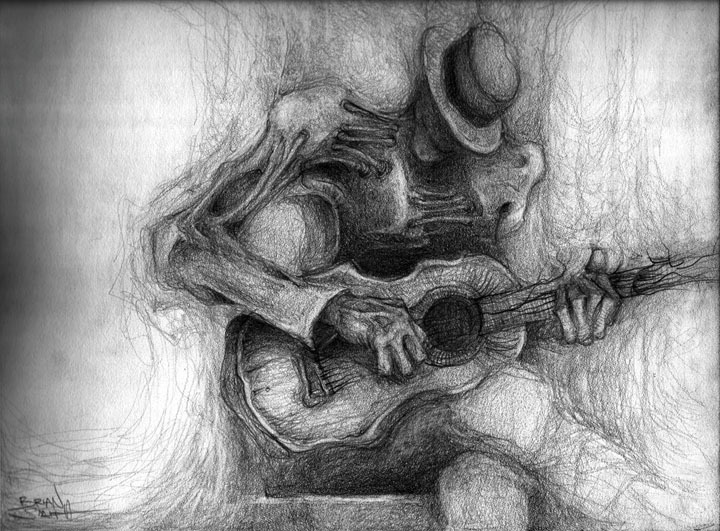 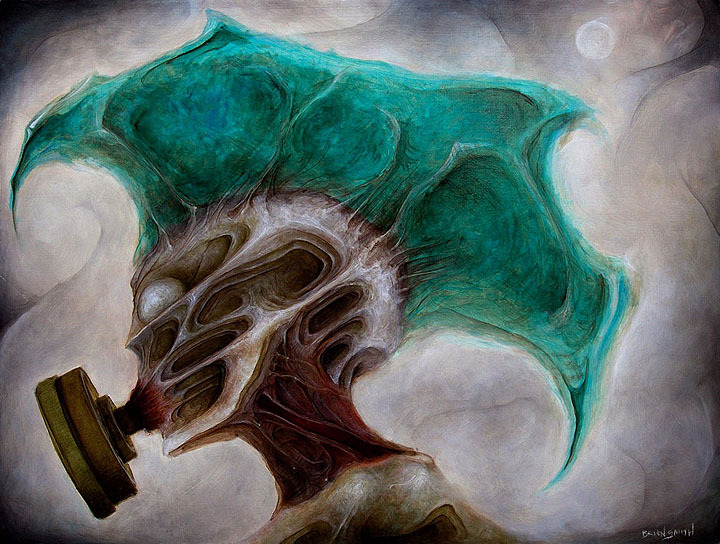 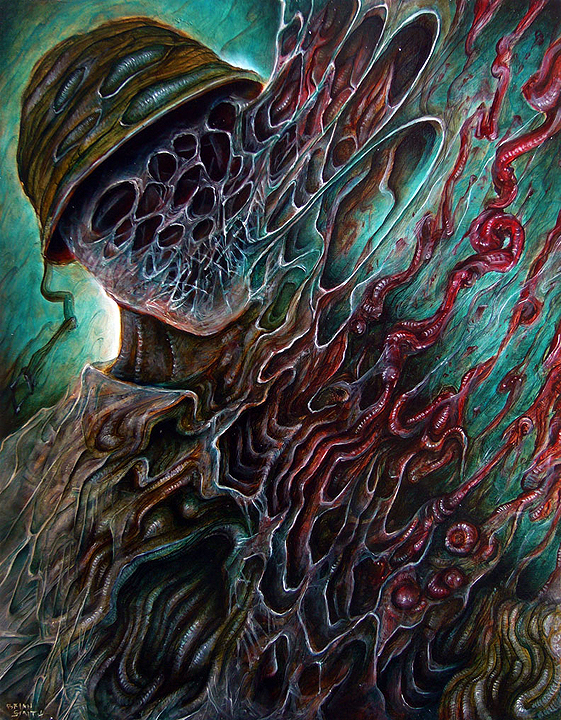 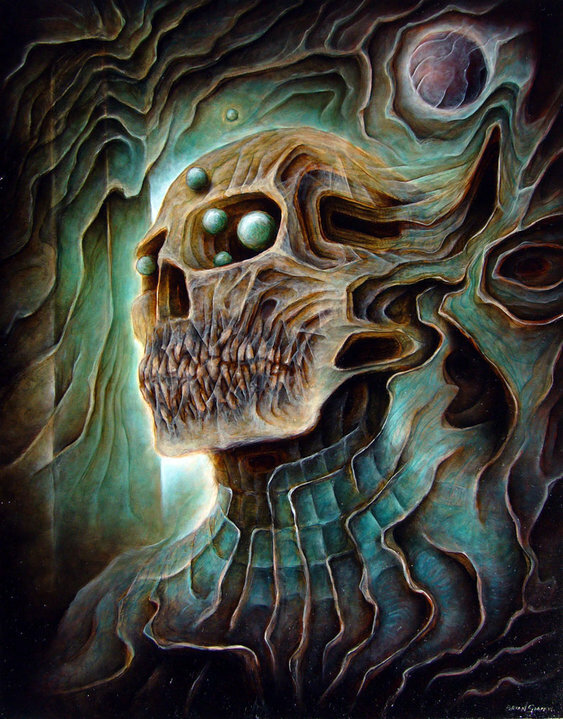 Dark and beautifully surreal, Brian Smith's work is deep in a cosmic sense. 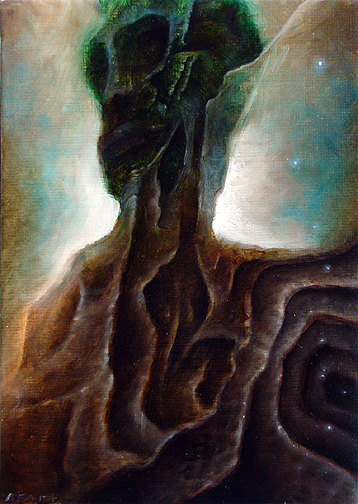 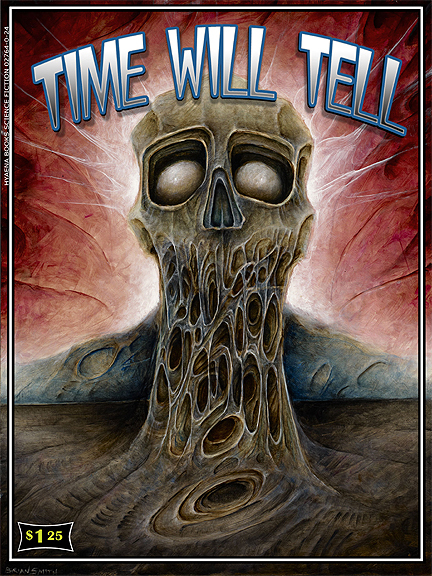 his paintings tell stories of other worlds and other states of consciousness.